With Tiger Leasing’s equipment financing solutions, upgrading your hospital with the best diagnostic, surgical, and laboratory equipment in the industry can be an affordable and reasonable option. From laser medical equipment to Ob-Gyn equipment, and just about everything in between, we’re confident that Tiger Leasing’s equipment leasing solutions are the smartest choice for your hospital’s needs. No matter the size of your medical facility, know that Tiger Leasing has the equipment solution that can be customized to what you’re looking for. Maintaining trustworthy, high-quality hospital equipment is crucial to the success of a medical facility. Below, the team has compiled a list of ways in which it makes perfect sense for hospitals and medical facilities to lease equipment through Tiger Leasing. By leasing hospital equipment through Tiger Leasing, doctors and physicians have the ability to make changes to their existing equipment to prevent it from becoming outdated. Purchasing equipment up-front is an investment that negates this flexibility entirely. Rather than making a major investment in equipment that’s going to become outdated eventually, hospital equipment leasing allows your medical facility to conserve cash and use it in other areas that require purchasing. As a health care professional, your focus should always be on the quality of care that you’re providing for your patients. With hospital equipment leasing, you’ll have the most advanced technology and equipment in order to treat your patients in the most effective ways possible. Not only will you be able to trust the equipment that you’re using, but you’ll also be able to trust your hospital equipment leasing program. Our team of professionals will work with you to ensure that your financing solution meets your needs as a health care professional. 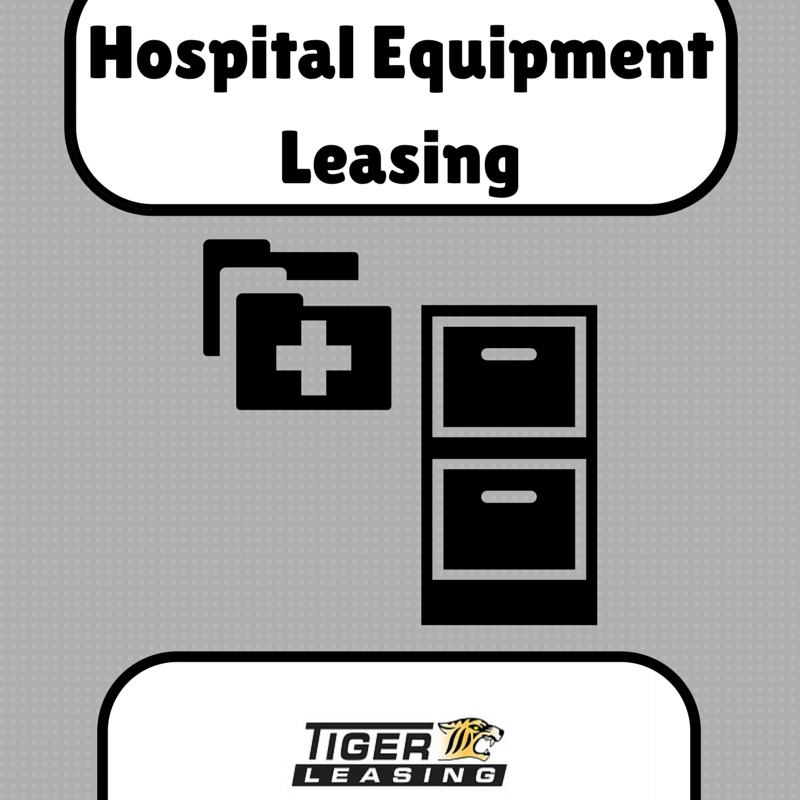 As you can see, hospital equipment leasing through Tiger Leasing can provide your hospital or medical facility with modern equipment without major cash investments. If you have any questions regarding any of the leasing programs or other aspects of equipment leasing, don’t hesitate to contact us! Our team of professionals will work diligently to answer any questions you may have.